I have already written about Lee Hsien Loong’s sense of entitlement having become so outsize that he is unable to distinguish between state property and his own. This was clearly demonstrated when he instructed his Press Secretary and then the Singapore High Commissioner to London to write letters to the international press defending his decision to sue the unemployed blogger Roy Ngerng (see here). Using state resources to help pursue his private interests is no different from stealing from the taxpayer and should be called out for what it is-clear corruption. Yet the Prime Minister seems unable to see anything wrong with what he has done. As he revealed in his dialogue with Fareed Zakaria, the disgraced plagiariser, at the SG50 forum organised by Institute of Policy Studies, when he talked about “natural aristocracy” (see here), he truly thinks of himself and his family dynasty as possessing a divine right to rule similar to the kings of medieval and early modern Europe or the Chinese emperors. 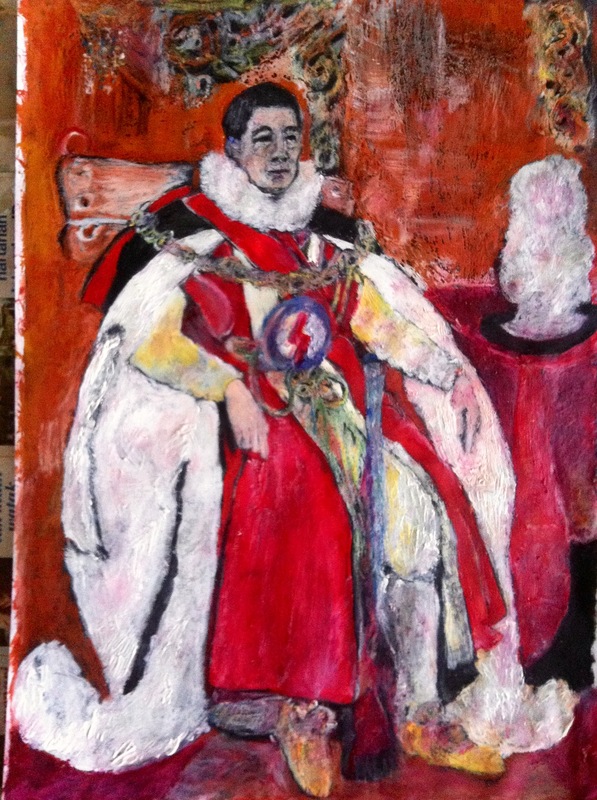 Lee Hsien Loong could almost be said to be the embodiment of that symbol of absolute monarchy, Louis XIV, the ruler of France known as the Sun King and the most powerful monarch of 17th Century Europe, who famously said L’Etat C’est Moi, or “I am the State.” LKY and his son have long treated Singapore as their personal property, even though Singapore is merely a medium-sized city and not one of the most powerful states in the world, like France during the rule of Louis XIV. 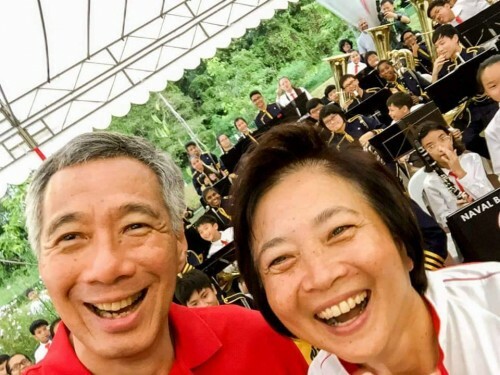 Like the Sun King most of the positions of power not held by LHL are held by his relatives, starting with his wife whose remuneration is undisclosed but undoubtedly runs into hundreds of million of dollars. Things did not end well for Louis XIV’s descendants as less than a hundred years later one of his descendants was guillotined when the French Revolution occurred. LHL’s eroded sense of moral right and wrong and inability to see any conflicts between his personal business interests and those of the state has deeply infected his underlings who display a shocking blindness to conflicts of interest between their role as members of the Government and their private business interests. That is beside the point. As she is a Government MP, her firm should have been barred from bidding on contracts awarded by a Government agency, statutory board or government-owned company. Just because Ms Lee says the tender was carried out fairly and transparently, does not automatically mean that it was. How are the public to know or to be sure that Ms Lee possessed no inside information which gave her company a winning edge? Particularly as Ms Lee was also the MP for the ward where the contract was awarded and a member of the Town Council. Or how do we know that there was no indirect pressure or influence on the civil servants awarding the contract? There are strict rules in most democracies about elected representatives from the governing party being required to divest their private business interests or to refrain from bidding for Government contracts. Ms Lee is also Chairman of the Parliamentary Committee for National Development. Parliamentary Committees supposed to act as a check on the ministries and their statutory boards. The Ministry of National Development is in charge of HDB so the Parliamentary Committee oversees HDB. If the Chairman benefits directly from a contract given to her by the statutory board her committee overseas, then surely that is a fundamental conflict of interest? Ms Lee says in the same post that LBW Consultants LLP was acquired by Meinhardt Group International in January 2014, given its track record. But surely its track record depended on the contracts it had won, including the two HDB contracts. When Meinhardt bought her company presumably they paid for the present value of the income stream from those Government contracts that her company should not have received in the first place. For Ms Lee to say that her firm won the contracts fairly and transparently as a defence for being allowed to profit from doing business with the Government is exactly the same as LKY’s justification for his wife’s firm, Lee and Lee, being allowed to do conveyancing work for HDB. Lee and Lee were for many years one of the principal law firms acting for HDB and may still be. LKY admitted in court during his libel action against JBJ in 1976 that for a period he had stopped HDB from using Lee and Lee but that after a period he had sent a letter to HDB saying that Lee and Lee should be allowed to compete “on equal terms” with other law firms. In a further irony, Ms Lee benefited financially from a discount not available to the general public on the purchase of a property in a private development, 91 Marshall in Katong, in 2012. She was a non-executive director of the company, Tee Homes. While the board may have found that the discount did not prejudice the interests of minority shareholders, I would question how she could both be a director of a property company and chairman of the Parliamentary Committee on National Development which oversees the sale of Government land to property developers. It is very similar to the case of Hotel Properties Limited in the 1990s where most of the Lee family members were found to have received discounts on the purchase of property, including LKY and his son. The Prevention of Corruption Act Section 8 states clearly that there is a presumption of corruption when a member of the Government receives a gratification from any person having dealings with the Government or any department thereof. Ms Lee’s case is not an isolated one. We already have far too many cases of PAP MPs being employed by statutory boards or Government-linked companies or companies doing business with the Government which is hard to avoid in a country where the Government dominates the economy after foreign owned companies are excluded. When the PM himself breaks the Ministerial Code with impunity it is to be expected that the other members of his Government will do likewise, from the most senior to the junior. The PAP have behaved like the Communist Party in China. Just as the Chinese Premier has allowed members of the Politburo to become immensely rich, the PAP has shown a similar laxity towards conflicts of interest between their members’ business and financial interests and those of the state. Ministers are paid obscenely well while their relatives and friends hold positions in Government-linked companies with little transparency as to their remuneration. What we know from public companies like SingTel is that such compensation has risen to US levels of tens of millions of dollars a year with little risk of losing your job. Meanwhile mere MPs like Ms Lee also enrich themselves from running private companies at the same time which benefit from Government contracts or sit on the boards of private companies doing business with the Government as well as GLCs and statutory boards while being members of the parliamentary committees overseeing these companies. Ms Lee’s company’s business dealings with HDB should be investigated and if there was any improper influence our Parliamentary Standards Committee should require her to step down at the next election. Similarly the Committee should investigate whether she should have been a director of a property company at the same time as she was chairman of the Parliamentary Committee for National Development. It is difficult to understand how Singapore rates so highly for transparency and lack of corruption when the Government is riddled through and through with conflicts of interest. It is high time the people of Singapore ended this obscene gravy train. Whether they will do so is another matter entirely. accountability, divine right of kings, Ho Ching, Jeyaretnam, Lee bee wah, Lee Hsien Loong, Lee Kuan Yew, Louis XIV, PAP. Yes, what can most of us say ? We are dumb founded by all these revelations. Another French Rev ? Maybe they (THEY) are saving ? grabbing enough $ preparing to fly to some country on SIA plane with their very ill gotten gains the hordes of meat cleavers from Tek-ka Market to escape . Instead of being lauded and celebrated by Singaporeans who made alot of sacrifices for the island of their birth, the Dynasty, co-horts & its hangers on are being cursed & reviled. The Rise and Fall of ???? I too have felt some disquiet as to PM’s finding it necessary to use that term “natural aristocracy”. Whatever the context of the term’s original use in the history of thought, “aristocracy”, whether “natural” or not, connotes some inbreeding of privilege, wealth, power, etc., among some “upper class”, in a social context where absence of social mobility on the basis of equality and justice is conspicuous. The unjustness of the situation is only rendered the more arrogant where those unearned “entitlements” are claimed to be “natural”! If PM had meant only that society has to tolerate fair inequality in order that the able and suitable are identified and duly rewarded, then why not just stick to so saying. What was at the back of his mind (maybe nagging at his conscience?) for him to feel the need to go beyond that saying, maybe trying to justify something about Singapore’s manner of distributing wealth that can’t be claimed to be social justice and equality? Was he acknowledging that some unjust inbreeding of wealth and privilege acquisition has been going on, but which he wants to claim to be “natural”? That’s when 60% of the people in Singapore give them the power to stay in the govermet,means we are spelling dealth for yourself if we let their wanton behavior to continued.pm Lee is not a emperor, let wake him up by voting their party out and giving the oops party,who care for Singaporeans.